Once upon a time, “the old SEO” ruled the website marketing world. This was during the early, pioneering days of online marketing — before it was typical for a small business to have a website and long before your grandmother had an online presence that could rival a teenager. The old SEO strategy centered around one primary factor: Link Building. But today, link building as a direct SEO tactic is completely dead. The fact is, Google has found smarter ways to measure the popularity of your website: it’s called social media. The fact that social media is critical to your online presence (and your search engine rankings) is often a tough pill for small business owners to swallow. It can be a difficult marketing strategy to measure, and it can seem like a strange way to grow their business. Get on the right SEO track today and start building a more authentic social media presence today! Jason Clegg is the CEO & Founder of Convert With Content. He's on a MISSION to help small businesses convert tire-kickers into lifetime customers & raving fans with #ConvertWithContent marketing systems that work! 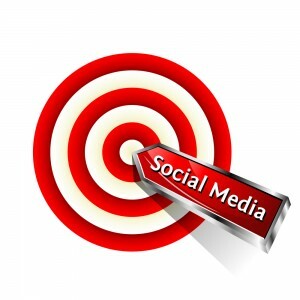 What kind of a social media presence do you have for your business website? There are a ton of benefits to having a social presence, but most importantly the presence needs to be where your audience is. By being where your audience hangs out you can ensure engagement, increased traffic, shares and readers, your business. You write a compelling article and have some solid points. BUT apart from googleplus there is almost no evidence that social signals or reputation is directly connected to your rankings. You CAN use social in order to generate a reputation, but webmasters need to write about you and link to you as a result of that. If they do not do that, it is not helping your SEO.